Removes blackheads quickly and easily! No more expensive facials, peels or painful squeezing. Removes micro hairs for brighter looking complexion. California Charcoal Black Mask extracts blackheads, cleanses pores and reduces the appearance of pores. 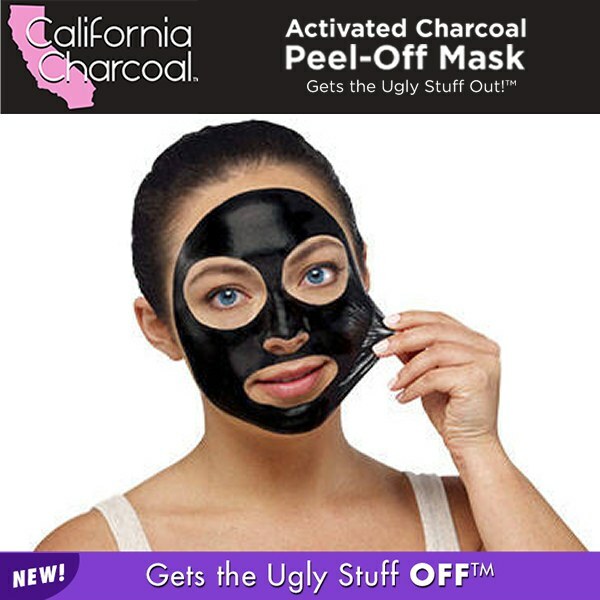 California Charcoal, as seen on tv, is the new at-home peel made with natural ingredients, activated charcoal, clay, vitamin C, rosemary and eucalyptus that draw out blackheads, exfoliates, sooth irritated skin and acts as a deep pore cleanser. Easy to use just apply thick layer of black peel off mask to face (avoiding the eye area), let it dry and gently peel away to reveal cleaner pores, and a brighter looking complexion. No more expensive facials, peels or painful squeezing. California Charcoal gets the black heads off. The proof is in the peel! GMO, gluten, sulfate and phthalate free. Works great and leaves ny skin feeling soft. Will reorder it.